I was very intrigued when Fujifilm announced the X-T1 body for their X series. Fuji promised improved continuous auto focus, weather sealing, and an SLR-like look and feel. I thought the X-T1 might be the camera that allowed me to sell my Canon gear and go 100% mirorrless. My biggest requirement to make that move is a system that will focus quickly enough to shoot fast moving sport images. 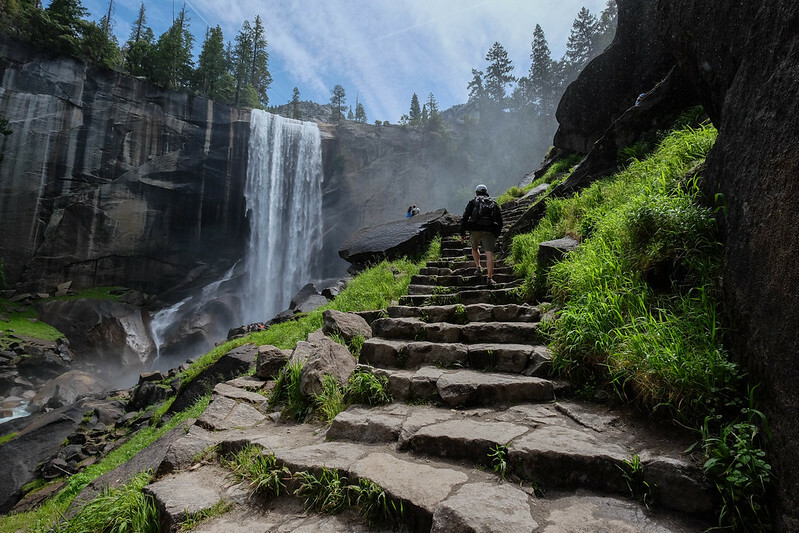 Last weekend I rented an X-T1 and the new Fujinon XF 10-24mm F4 R OIS lens and took them along on a trip to Yosemite. Not the best test case for high speed auto focus, but a great photography opportunity nonetheless. The X-T1 has been reviewed extensively elsewhere, so I’ll note only a few impressions after a weekend in the mountains. Auto Focus The X-T1’s auto focus has been widely lauded in reviews across the Internet. In my experience it’s extremely good. Focus is fast and accurate, even in low light. Continuous auto focus is very good, even if its not quite at the speed and accuracy I’d like to reliably shoot action sports. In all other circumstances it performs superbly. Electronic View Finder The X-T1’s EVF is killer. The EVF is fast and responsive, and at 0.77x magnification it displays a huge image. The rotating display in portrait mode is super groovy. Why don’t all cameras do this? Weather Sealing The X-T1 is the first X series camera to be weather sealed. 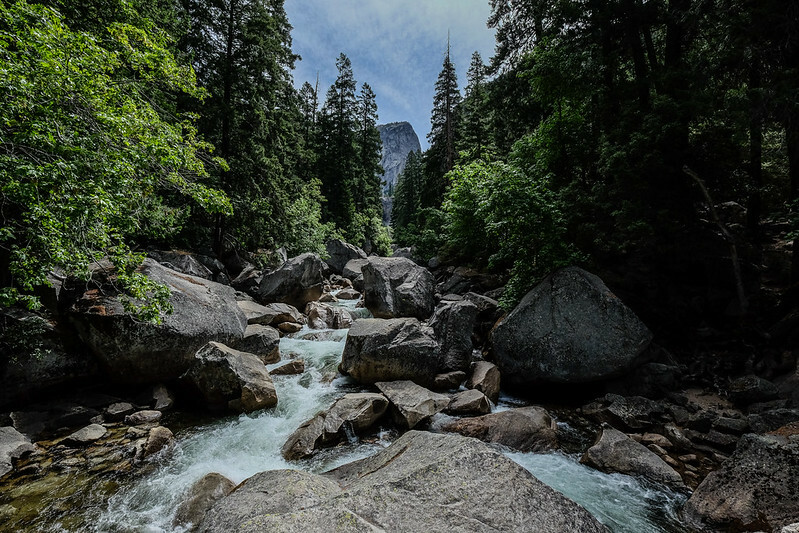 Weather sealing is a nice feature to have in places like Yosemite’s Mist Trail. One nit: the gasket on the memory card door doesn’t appear to offer a great seal but I guess it is better than an unsealed door. Grip I really liked the X-T1’s grip. It is substantial enough to hold the camera very securely with one hand. I had to add a Thumbs Up Grip to my X-E2 to achieve a similar level of security. Controls The rear directional pad on my X-T1 was hard to use without looking directly at it while pressing the buttons. The buttons felt too low (or in other words they did not protrude far enough from the rear plate), and the buttons didn’t offer any tactile feedback when pressed. Selecting AF points was troublesome. I’m told Fuji fixed this issue and that only the early copies of the X-T1 have mushy directional buttons. The exposure compensation dial on the X-T1 has a larger diameter than the one on the X-E2. At first I didn’t like this change—it was as if the dial was harder for me to turn. But after a couple of hours I got over it. Rear screen I really like the tilting screen. It makes low shots so easy. I most emphatically want this feature on my next X-series camera! I couldn’t get the Auto ISO feature to work properly with my X-T1. I set the minimum ISO to 200 and maximum ISO to 3200, but the camera would not lower the ISO below 800, even in very bright light. I’ve never seen this behavior with the X-E2. As a result I ended up setting the ISO manually, which was very easy to do with the ISO dial on top of the camera. 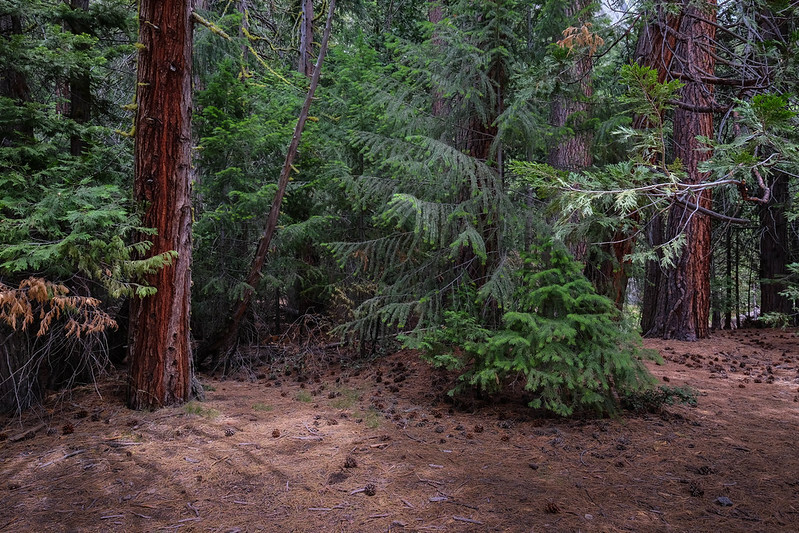 A 10-24mm is a little wide for a walk around lens, but not in Yosemite! This lens is large and relatively heavy for an X-series lens (but compared to Canon’s 16-35mm f/4 the Fujinon is a featherweight). The manual focus ring is quite stiff to turn, but very usable. Auto focus was fast and accurate, and the images are super sharp. The only beef I have with this lens is that there are no aperture markings on the lens body. One must use the camera display (viewfinder or rear screen) to see what aperture is being used. I used this lens with both the X-T1 and X-E2 bodies, and it worked wonderfully with each of them. I adore Fujifilm’s X-T1. It has a rock solid build and I didn’t think twice about stuffing it into my pack or tossing it into the back of the SUV with all my camping gear. The controls are logical and easy to use, and the tilting rear screen is uber useful. But even with all the X-T1 love, I’m going to stick with my X-E2 for the time being. Why? First, I really like the rangefinder look and feel of the X-E2. I have a big, hulking Canon 5D Mark III to hug when I need that DSLR vibe. The X-E2 was recently upgraded by Fujifilm to improve EVF responsiveness to the level of the X-T1. The two cameras are virtually identical on the inside, so the same image quality is available from both bodies. I’d like an articulating rear screen, but I’ll wait to see if Fuji delivers that feature on a rangefinder-style body. If you’re upgrading from an X-series body older than the X-E2, or looking to jump into the mirrorless world, the X-T1 is compelling. Go for it!